Will Brazil have an Olympic quality golf course ready for 2016? As no doubt most golfers are aware, the sport will make its much-vaunted return to the summer Olympics in Rio de Janeiro 2016. After 112 years absence, 60 male and 60 female golfers will compete over four rounds of golf to decide who is the first Olympic golf champion in over a century, but will Brazil have a venue ready to host a golf tournament for the 2016 Olympics? The decision to include golf for the 2016 Olympics, but not the 2012 is a strange one. The UK, or more precisely St. Andrews, is widely reputed to be the spiritual home of the game and there was a concerted effort to have golf included as part of this year’s London Olympics. The International Olympic Committee (IOC) however voted against including golf in time for London and so the sport was only admitted to the 2016 games. “Muscle imbalances could be hampering your swing, causing injuries and lowering your performance,” says Duncan Reeve, golf performance specialist and co-Founder of Peak Of Wellbeing. Duncan has been rehabilitating and conditioning golfers for the past 12 years improving the golfer’s game by improving the golfer’s body. 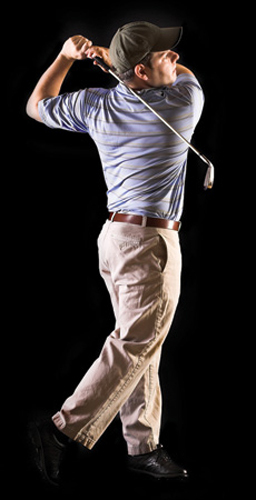 Through years of training golfers, this CHEK Practitioner has found that the majority of male golfing clients lack significant flexibility in the low back and hips. He explains how this causes inconsistency in your game because of the commonly seen excessive ‘sideways’ hip shift in the back swing. This often leads to ‘hooking’ and ‘slicing’ shots. With a willingness to work at your game regularly and some excellent advice and tuition (such as that provided at our fantastic golf clinics in Lascaux) a beginner golfer can soon begin to see real improvements in all aspects of their game. Driving will be more accurate and you will find that you are hitting your shots not only straighter, but also longer. 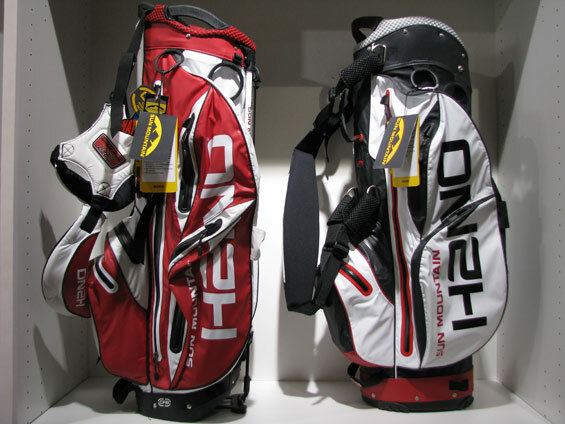 If you are using a basic set of clubs bought as a beginner, there will come a time where your game may reach a level when you really need to consider upgrading if you are to keep the momentum going in your game and usually this point comes when the individual in question becomes a low to mid-range handicapper. When should I change my golf irons? When should I change my golf irons? Well, I’ll freely admit that I was one of those amateur golfers who never really saw the need for change when it came to their clubs. I had used my previous set for over 10 years and was comfortable using them. I’d even shot below 80 twice with them, so I felt that I was justified in keeping hold of my irons for the time being. That mindset slowly changed a couple of years ago when my brother purchased a new set of Ping irons. While at the range together, he let me have a few swings with his clubs and I was amazed at the difference. Not only was I hitting balls further (I was hitting the Ping 7 iron the same distance I was achieving with my old 5-iron), they were holding a better line, the clubs were lighter and easier to swing. Suffice to say, when I had the money a little later, I went to the pro shop myself and got myself a new set of irons and the difference is tangible. I’m still very much getting used to them, but it feels now at times, like I am playing a different game. 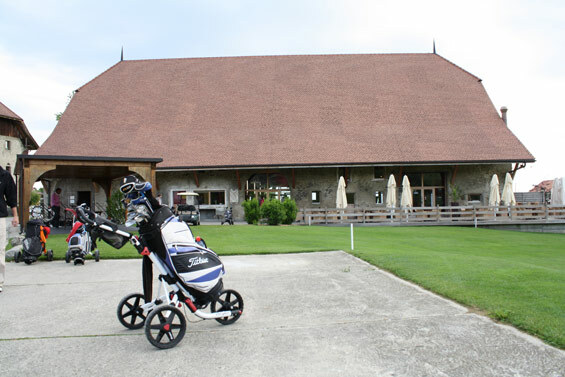 For the third consecutive year, the Vuissens Golf Club in Switzerland has opened its doors to the international community at the Léman Events Open. Organized by Léman Events and MyGolf SA, the golf competition, golf initiation, cocktail and meal welcomed approximately 100 participants to a spectacular event. “Not only would I like to commend the Vuissens Golf Club on an excellently maintained course but also thank their competent golf professionals Jean-Raphaël and Michel for an excellent job with our would-be golfers. My organizing partners, Jos van Megchelen and Melania Quinn exceeded their rigorous standards in making sure every detail was followed. A special thanks to Jos for assuring that the weather was perfect as well!”, MyGolf CEO, Tom Rosenfield remarked at the prize-giving ceremony. Without sponsors Banque Edmond de Rothschild, IOGI and Giroud Vins, and all of our prize-giving sponsors, the day would have not been possible. Thank you again to everyone and we’ll see you at the 4th Léman Events Open in 2013! 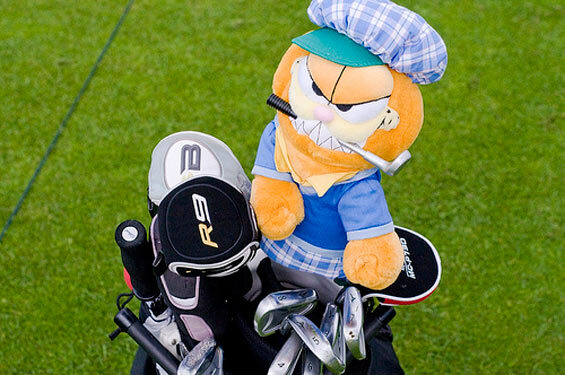 Photographs by Kristiina Urban are available on: Gorilla Golf Blog Flickr catalogue. 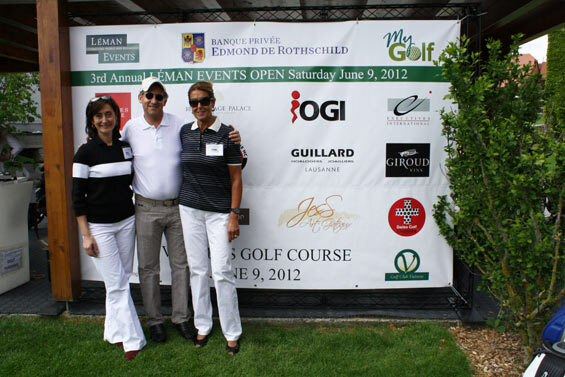 This year’s IOGI Cup held on Sunday June 10th at the Maison Blanche Golf and Country Club in the French foothills of the Jura Mountains outside of Geneva, Switzerland was once again a smashing success! Sponsored by Philippe Thévenot, Chairman of IOGI SA and organized by his team and led by son, Ludovic, the event welcomed more than 100 participants who were treated to great golf (with an initiation for those who wanted to learn more about the game), a sumptuous cocktail and an impressive array of prizes. But the highlight of the post-competition evening had to be the film of the Golfing Bloopers made discretely on the field of play during the day by film producer, Nikola Sanz working under the IOGI banner (do you recognize anyone you know? ).